As the table above shows, each year’s upgrades vary considerably in performance jumps, but one thing’s constant: every new flagship iPhone’s A_ processor is a step better than the last flagship iPad’s A_X processor. The A6 offered huge performance jumps over the A5X, and the 64-bit A7 did the same relative to the 32-bit A6X. By contrast, the A8 respectably outperformed the faster iPad version of the A7, though there wasn’t an A7X to compare against. What Will The A9 Be Like? We’ve already seen photos of the A9 processor on an early iPhone 6S motherboard, and superficially, it doesn’t look much different than the A8. But under the dark gray exterior, a lot has changed under the hood. Apple’s chip partners have moved from a 20-nanometer process to 14/16-nanometer FinFET manufacturing, enabling the A9 to squeeze even more transistors into the same surface area. This will let the A9 offer greater performance and improved power efficiency at roughly the same size as the A8. These numbers could be completely fabricated, which is why we haven’t run them in a news story. But they are in line with changes we’ve seen from Apple each year, and as such, a reasonable basis for contemplating what’s likely to actually happen. Again, as the table above suggests, there has never been a flagship iPhone that scored lower on Geekbench’s single-core or multi-core tests than the prior year’s flagship iPad. If there was going to be a first year for that to happen, it could easily be this year, as the A8X’s multi-core score is dramatically higher than the A8’s, thanks to both a third processing core and a faster clock speed. To beat the A8X in both categories, the A9 would need to evolve from a dual-core processor to at least a triple-core processor — achieving a multi-core score superior to the A8X with a dual-core A9 would be virtually impossible. So it’s interesting that the purported multi-core score of 4873 is right in line with what we’d expect from a triple-core A9 with a single-core score of 1921. However, the same tipster claims that the A9 will feature two 1.7GHz cores and two 1.2GHz cores. It’s possible that Apple’s design does use two faster cores and two slower ones to achieve a comparable top speed to a triple-core design, while switching between cores as necessary to conserve power. That’s the type of compelling energy-efficient innovation Apple would be proud to unveil. It’s possible that the next iPhone’s chip will fall below last year’s flagship iPad in performance, but Apple’s chipmaking history suggests that’s unlikely. 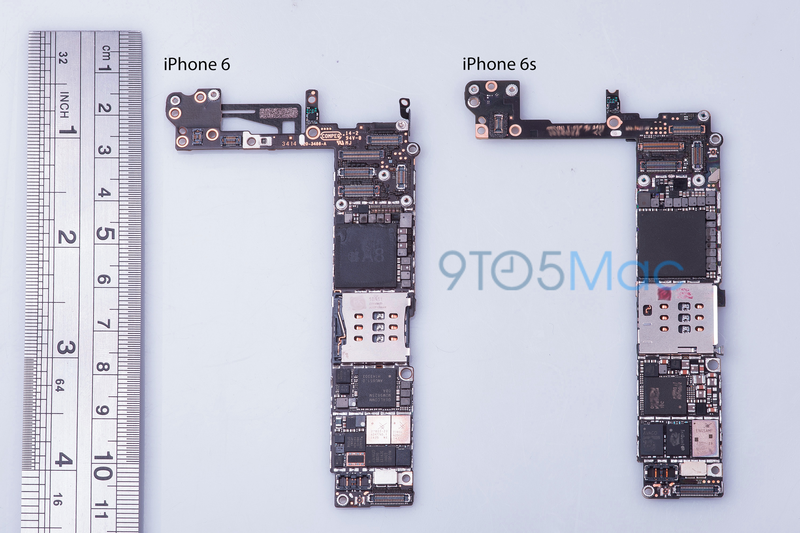 As a result, we’d expect to see the iPhone 6S sporting some major performance gains over the iPhone 6. The extra power could be used for even more impressive games, processing 4K video, and running apps that are even closer to OS X-class. If the A9 matches or comes close to the numbers above, it will be in the same league as 2009 iMacs, 2010 MacBook Pros and 2011 MacBook Airs, all of which are still viable computers. Yet the iPhone will be profoundly more power-efficient, and unlike any of those Macs, capable of fitting in your pocket without any cooling fans. This also bodes well for the A9X, which has reportedly been under development alongside the A9. If Apple follows its normal pattern, the next iPad will be on par with entry-level 2010-2011 iMacs, and quite possibly a step better than the entry-level 2015 12″ Retina MacBook. The key question will be whether Apple aims to close the performance gap between its tablets and laptops, or continues to limit the next iPad’s performance in the name of conserving battery life.